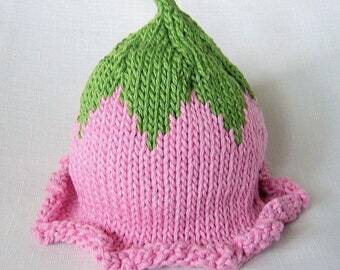 You are looking at my handmade Winter Flower hat. The Winter Flower is a crisp winter white color with spruce green leaves. 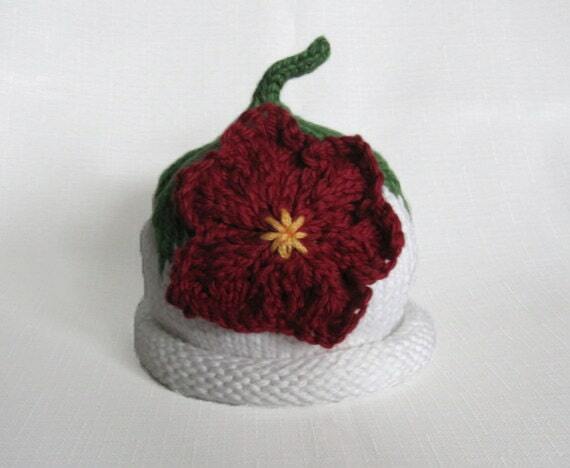 Attached is a red knit blossom with a yellow center. This super soft organic cotton yarn has the perfect gentle softness for your little one.